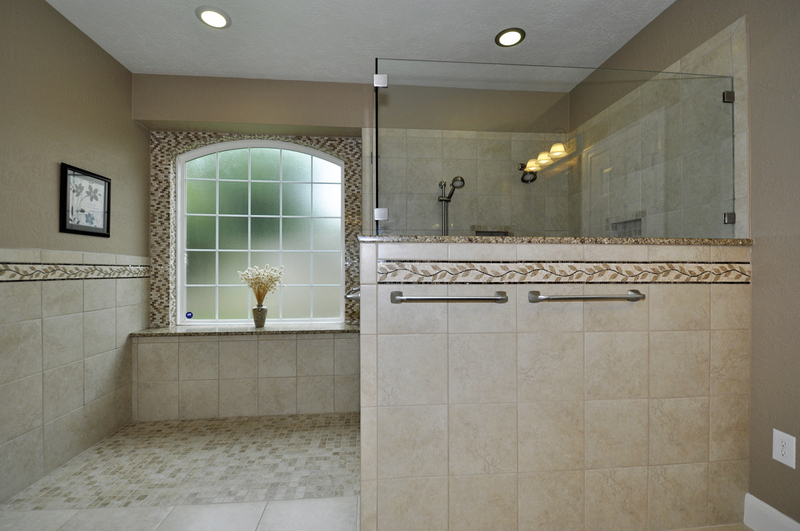 Remove the large bathtub and create a shower with plenty of room and easy access. 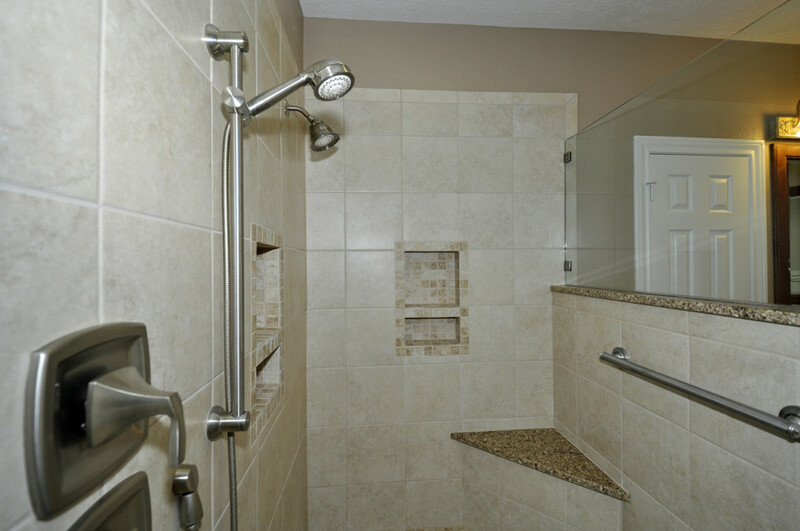 Tall shower pony wall allows for 3 towel bars. 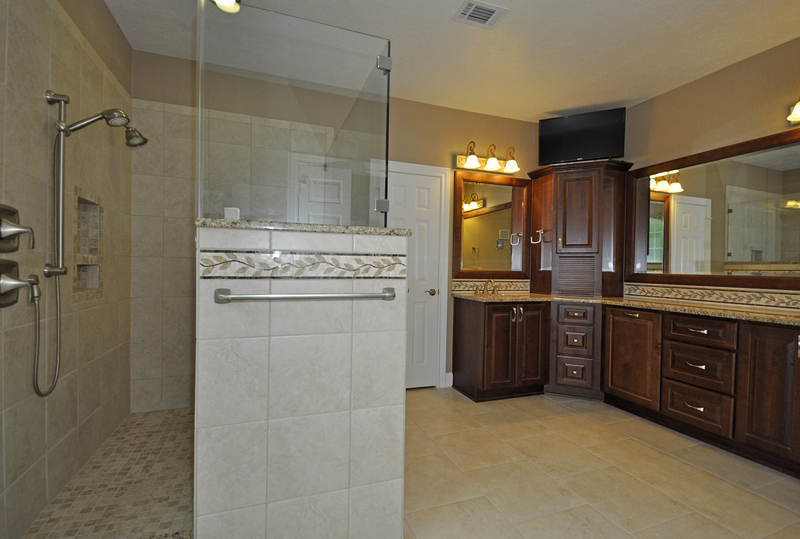 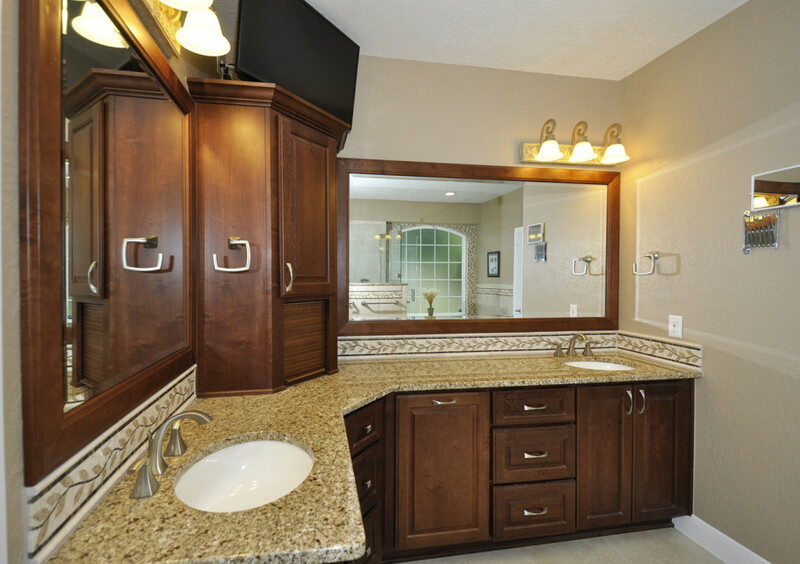 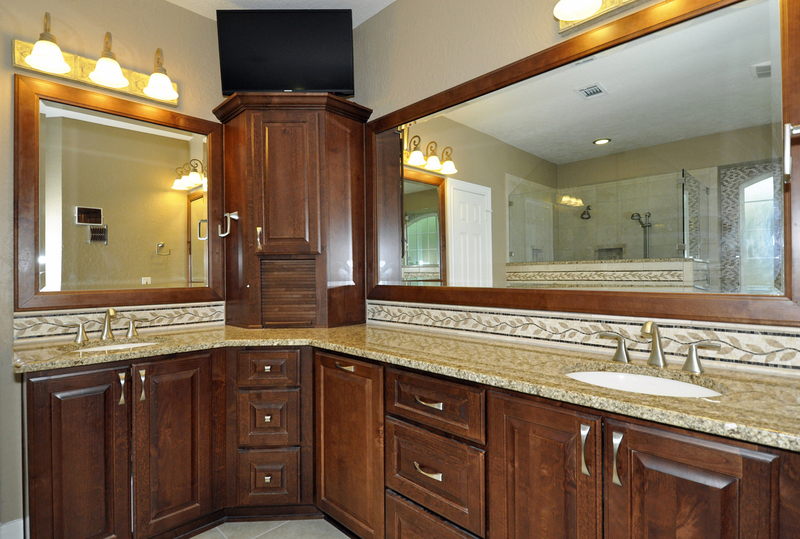 Extra cabinetry that includes a clothes hamper, appliance garage for hair dryer, and tall cabinet for towel storage. 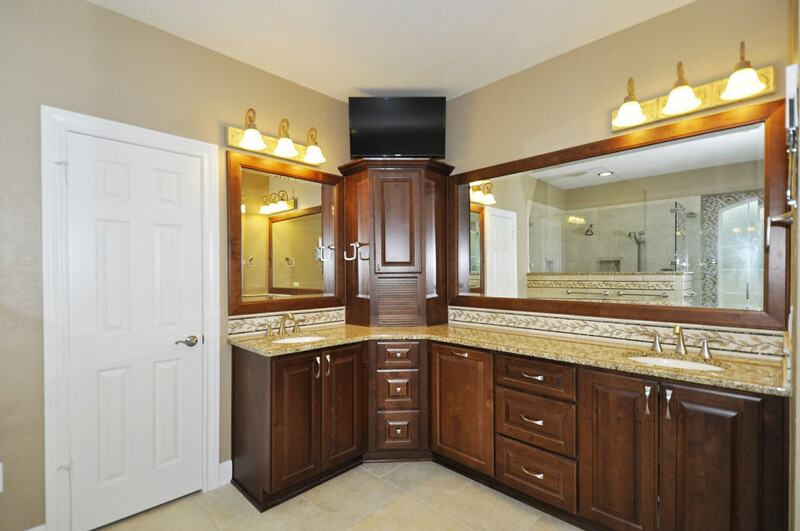 The mosaic tile on the countertop backsplash balances with the wainscot walls and Silestone countertop, top of shower pony wall and window sill. 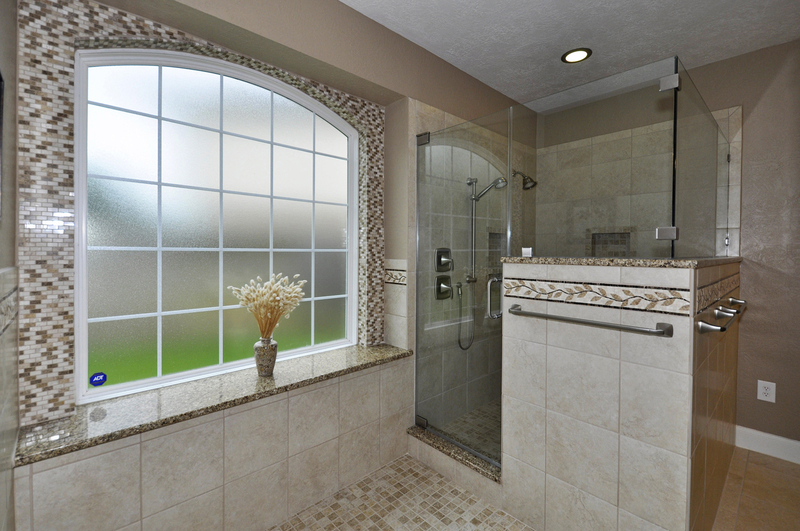 Mosaic tile window frame highlights the arch shaped window.